Alameda County Supervisor Nate Miley riding a mechanical bull at a fundraiser April 9 hosted by Castro Valley resident Chuck Moore. Miley was required to ride the bull every time $500 was raised. ALCO BOARD OF SUPERVISORS | Alameda County Supervisor Nate Miley’s body jerked with the rhythm of the mechanical bull below him. Wearing a floppy hat and cowboy shirt, his right arm flailed to balance himself and then he fell to the inflated mat below him. The scene at a Castro Valley ranch belonging to his long-time supporter and fundraiser Chuck Moore could be a harbinger of the next few weeks of his political life. But then again, following his brush with the mechanical bull, Miley gingerly stood up, dusted himself off, and laughed away the experience. However, what the cache of donors may have neglected to acknowledge is the great lengths a politician of even Miley’s entrenched status as a 16-year veteran of the Board of Supervisors will go through to keep power. Miley, apparently, has gone to even further lengths, based on his most recent campaign finance report. at a candidate forum last April with opponent Bryan Parker. Before this year, Miley’s re-election campaigns have never required a need to do much fundraising. Since being elected to the Board of Supervisors in 2000, Miley has faced only token opposition. That is, until this year when former Oakland mayoral candidate Bryan Parker announced his bid to upset the county’s apple cart. Parker quickly proved formidable after posting $117,000 in campaign contributions last year over three months. Miley, meanwhile, reported just $4,800. But accounting for his debts, the incumbent’s campaign coffers were in the red. The realization that Parker, a well-financed moderate who could be an attractive choice for middle-of-the-road voters in the district’s Tri Valley portion, could be formidable may have sparked Miley’s campaign into fundraising and spending overdrive, culminating in over $163,000 in contributions since the beginning of the year. Yet, the sheer amount of contributions and expenditures contained in Miley’s most recent finance reports, and triggered by Parker’s candidacy also gives a curious look into the supervisor’s tangled web of potential conflicts between his official duties and his campaign. They include a number of contributions from companies that do business with the county, along with perceptions of impropriety attached to a number of contributors who Miley later appointed to a Castro Valley advisory committee, a body now facing calls by residents to strip Miley’s power of appointment and hand it to voters. In addition, organizations that have received some of the largest public contracts in the county have also spent lavishly on Miley’s campaign and his offspring have also benefited with employment related to their father’s position. In one case, Miley’s daughter appeared to be her father’s early connection to the eventual collapse of a county program intended to help the poorest of the poor in Alameda County. Miley’s son, meanwhile, works as a staffer for Supervisor Richard Valle, and before that, Nadia Lockyer. What is worse is none of this is illegal, according to campaign and county election laws, but nonetheless, raises concerns about Miley’s campaign and the Board of Supervisors, an elected body with a nearly $3 billion annual budget that receives very little scrutiny from the public and press. Back at the ranch, once Miley had dusted himself off, Chuck Moore, the owner of the 100 acre Graceland Equestrian Center in Castro Valley, gave potential donors last month a strong pitch to open their wallets for Miley’s re-election campaign. “This is my buddy,” said Moore, wearing a cowboy hat, Western shirt and sporting a bushy white mustache (or just as you would picture a rancher would look like in Alameda County). Moore makes a portion of his living breeding and training horses and has given to Miley’s campaign in the past under the name of another business he owns, but more importantly, he’s been a consistent conduit over the years for raising money for Miley’s campaign through Western-themed fundraiser. “We need to keep this guy in office,” Moore continued. “He’s a great leader for us, especially in the agricultural community. He’s one of the few guys who listens to what our needs are.” Miley also listens to Moore’s own needs, as well. In 2013, Miley pushed for a revision of Measure D, the county ordinance approved by voters in 2000 to fight back urban sprawl in rural areas of Alameda County. The change in the law, it seemed, would have only benefited Moore and his desire to construct a 40,000 square foot cover over his arena for training horses. The Sierra Club vehemently fought Moore and Miley and after years of discussion and months of deliberation by the Board of Supervisors, the revision was defeated, but not before Miley carried water for Moore’s plan at every step. During one planning meeting in 2013, Miley berated opponents of the revision. “It’s not like the Sierra Club is sacrosanct and has a pipeline to the almighty and can determine what is best and what isn’t best for all of society,” said Miley. “That is not the case.” Miley later threatened that as a commissioner on the Local Agency Formation Commission (LAFCo), which is charged with overseeing the borders of local jurisdictions, the Sierra Club’s protest might make him think about allowing some cities to more easily incorporate open lands. Miley not only worked solidly on Moore’s behalf, but openly flouted the risks that the county could be sued over the revision. “I really firmly believe this is the right thing to do,” said Miley. In an interview, Moore said he merely supports Miley based on his support for rural Alameda County and not for his own personal gain. But Moore added that another push to revise Measure D could be forthcoming. In 2014, Miley appointed Moore to the Alameda County Fair Board and a year later named him to the Castro Valley Municipal Advisory Committee (CVMAC), the large unincorporated area’s de-facto city government. But over the years, a nexus has emerged between members of the CVMAC, all hand-picked by Miley, and their ability to fund his political campaigns. Miley also has the power to replace members, if he desires. In addition to Moore, other members of the current seven-person MAC have written checks to Miley’s campaign. One member, a Castro Valley contractor and controversial figure named Marc Crawford gave $3,500 alone during the current election cycle. Another member, Linda Tangren, appointed last year, gave Miley another $3,200 this election cycle. 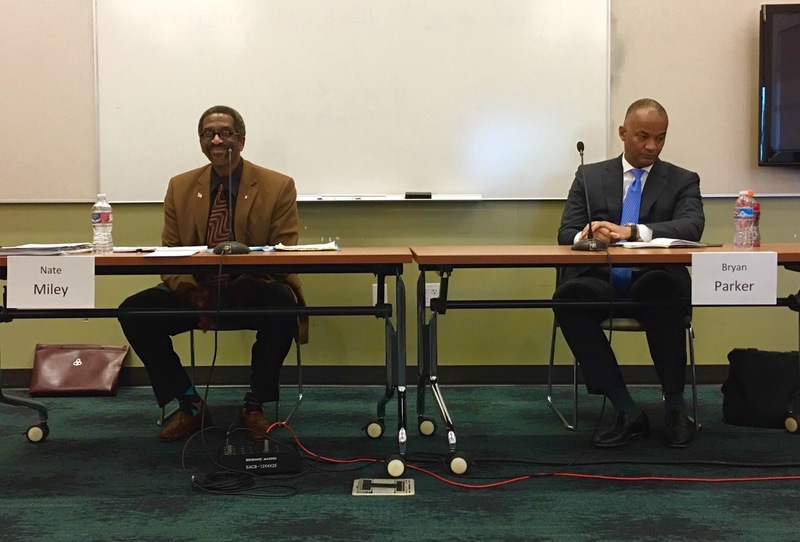 In recent years, Crawford has proven his loyalty to Miley by constantly belittling a nascent group of Castro Valley residents who believe the CVMAC should be an elected body. Crawford has taken to the local newsweekly and social media to label the group, Castro Valley Matters, as some form of urban terrorists and a voice unrepresentative of Castro Valley. In turn, Miley took no stand on whether his advisory board should be elected, but advocated for giving the public a chance to decide the matter. In a feat of political jujitsu, Miley brought the issue to the Board of Supervisors, which would be on the hook for paying for the CVMAC election, but the item failed to gain a third vote to pass and without much exuberance from Miley. Frank Mellon, a long-time Castro Valley resident who also serves on the East Bay Municipal Utilities District Board of Directors, believes Miley treats the 63,000 resident unincorporated areas of his district like his own personal playground. “I really and truly think Nate has treated Castro Valley unfairly and treats us like his private fiefdom,” said Mellon. A protracted search by Miley late last year to fill three open seats on CVMAC also rankled Mellon and others for its early lack of transparency and the perception the slots were filled by cronies of Miley. The seats went to Moore, Tangren and an attorney named Janet Everson. “It’s the kind of thing that makes people lose confidence in government,” Mellon added. -EBMUD Board Director Frank Mellon on the amount of campaign cash Miley has funneled to his non-profit United Seniors of Oakland. Accusations that Miley peddles access for campaign contributions was widely reported last fall in connection with Corizon Correctional Health, the county’s vendor that was awarded a no-bid $237 million contract to provide medical services at its jails. It ranks as the largest single contract in local county government. Over the years, Miley has accepted $15,000 in campaign contributions from the company now under fire for providing poor service and the death of one inmate. However, there is no prohibition against county supervisors accepting campaign donations from companies doing business with the county or hoping to win contracts, said Alameda County Counsel Donna Ziegler. But, Corizon isn’t the only company filling Miley’s campaign coffers that has a sketchy record of service. According to his most recent finance report covering activity from the start of the year through April 23, Miley accepted donations from at least three other companies who hold county contracts, two of which have proven costly to taxpayers. Paramedics Plus, which also employs Miley’s daughter, contributed nearly $4,200 to Miley’s campaign this election cycle alone and thousands in past years. The decision to drop the county’s long-time emergency ambulance company in favor of Paramedics Plus was controversial. In 2015, the company, fearing significant losses from a contract opponents had earlier claimed was a low-ball offer, asked and received from Miley and the Board of Supervisors a $4 million bailout to cover its losses. Similar contingencies were given to Alecto Healthcare Services, LLC, which has given thousands, including $2,064 this election cycle to Miley. The health care company has a controversial past related to buying bankrupt hospitals and quickly turning them around by, among other tactics, funneling patients through emergency rooms for higher price points, but costing taxpayers millions. Nevertheless, Alecto was approved to purchase the struggling St. Rose Hospital in Hayward. The facility’s future is still in doubt. Earlier this month, a bill authored by Assemblymember Bill Quirk seeks to disband the locally health care district and give half its assets to St. Rose. In addition, in March 2015, the Board of Supervisors, with Miley’s vote, renewed the permit rights of alternative energy firm Altamont Winds, Inc. to operate wind turbines near the Altamont Pass despite the howls of environmentalist who said they killed roughly 2,000 birds a year. Miley, as is the case with Corizon, Paramedics Plus, and Alecto, has accepted thousands from Altamont Winds, including a $2,500 contribution last January. The perception that Miley and the entire Board of Supervisors is not above board with its actions may not be readily accepted by elected officials in general, said Don Moore, a professor of management at U.C. Berkeley’s Haas School of Business. Moore has studied conflict of interest in government and business along with the overconfidence and judgment that some time arises from it. “Some of the interesting results I’ve found is we all tend to be blind to having conflicts. It affects us all, not just public officials,” said Moore. “My best guess is politicians know they may look corrupt to those on the outside, but they also do not view themselves as being a bad person.” A public official might also feel a sense of fealty from contributors in the same manner as nepotism might benefit a leader. “If you ask him, he would likely believe they are most competent. He knows them,” said Moore. “He knows how loyal they are.” Unfortunately, I could not ask Miley about his history with campaign donors. An email from his campaign last week said Miley’s scheduled was too packed to address the specifics in this article. There is no way to differentiate whether Miley’s attendance at the Claremont Club is for a deep-tissue massage or a meeting to discuss campaign strategy. What is notable about Miley’s most recent campaign finance reports, ironically, is its blind honesty. For instance, Miley’s use of campaign funds to pay half of his health club membership at Berkeley’s tony Claremont Club & Spa has been criticized in the past. Miley previously had the same arrangement at Oakland’s Belleview Club. Over the years, the $161.10 monthly expenditure litters his finance reports and almost taunts good government advocates. It didn’t help when Miley inexplicably said during a candidate forum four years ago that his membership was necessary for the sake of his own peace of mind. “Yeah, I can pay dues to the Belleview Club. I pay dues to the Claremont. I do that because I need to get away and have an opportunity to be in an environment where I don’t have to deal with constituents who are constantly talking to me whether I’m in church, walking the streets or I’m in the grocery store,” Miley told his 2012 opponent, Tojo Thomas. Over the past four months, in addition to the monthly dues, Miley is blurring the line between using the Claremont Club for personal and official duties. On Miley’s most recent finance reports, two entries describe meetings that appear county-related, but paid with campaign funds. On November 18, 2015, Miley met with “constituents to discuss county matters,” said one entry costing the campaign $126.43. A month later on December 21, 2015, the campaign spent $179.21 at the Claremont Club, according to another entry, for a “candidate appreciation meeting with six county employees.” There is no way to differentiate, according to finance reports, whether Miley’s attendance at the Claremont Club is for a deep-tissue massage or a meeting to discuss campaign strategy. The Claremont Club was also the scene of Miley’s most audacious fundraisers yet. A black tie event last Jan. 30 that cost the campaign nearly $30,000 to rent the swanky facility. 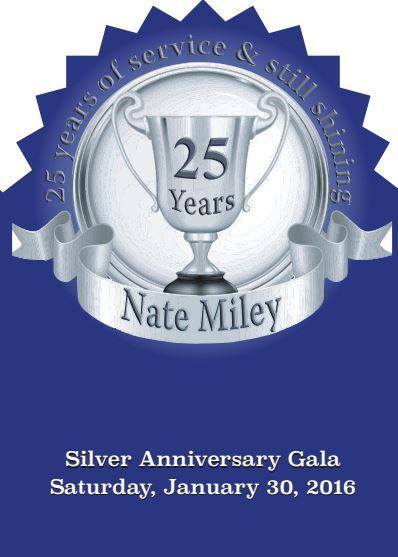 The event also kick started Miley’s fundraising effort to neutralize Parker’s own impressive finance numbers. Including the Claremont fundraiser, Miley accepted more than $163,000 in contributions. In addition, a significant portion, roughly $40,000 of Miley’s large campaign cash haul, came by way of the cannabis industry, a special interests group he has nurtured for years and which is now poised to bloom. For his part, Parker, added another $95,000 to his ledger during the same period. However, Miley’s campaign was highly profligate, quickly spending $135,000 in short order, mostly on consultants and of course, renting the Claremont Club. Posted in Alameda County Board of Supervisors, Alecto Healthcare, Bryan Parker, campaign finance reports, Castro Valley MAC, Chuck Moore, contributions, Corizon, June primary, Marc Crawford, Nate Miley. Bookmark the permalink. The nerve and gall of you making insulting and derogatory remarks about that wonderful saint of saints and totally and completely trustworthy fantastic person, good old Nate Miley. And if you had gone to more public meetings at which Miley was present, you would have learned what a truly fantastic person he was, since he would have never stopped “educating” and “informing” you that: one, he is a fantastic person; and two, we residents of Alameda County are extremely lucky to have Miley representing us. And in fact if you had challenged Miley on any of that, he very likely would have emphasized and “proved” his points by ranting and raving and yelling and screaming like a totally out of control maniac at you for having the nerve and the gall to disagree with him. In other words, Miley is a modern style “liberal,” and which is someone who believes in an “improved” version of “free speech,” and which means all of us have the right to freely express our opinion as long as anything we say supports the standard liberal lies, garbage, and mentally retarded nonsense. In fact to increase the probability that Miley will win his battle for re-election, we should make up a list of everyone who is a lemming, stooge, and puppet on a string, and then rent buses so as to ferry those “great independent thinkers” to the polls. LOL. Democrats never cease to amaze me. You all are so perfect and good and noble and pure until you start eating your own. I haven't read anything this ridiculous since I stopped reading the stupid Republican media. Thank you for your analysis. I would like to see a similar analysis of Mr Parker's campaign finances and who is contributing. Seems like a news source would be interested in presenting all sides of the campaign. I support Supervisor Miley. I also think the residents of Castro Valley should vote on how people become part of the MAC whether appointed or elected and I thought Supervisor Miley supports that process. As a member of the Fairview unincorporated community we are working with Supervisor Miley to establish our own MAC to give a voice to the community. As far as your comments relating to Mr Moore. I applaud Supervisor Miley for giving the Ag community of Castro Valley a seat on the board. By definition AG property doesn't have a very dense population so their needs can easily be ignored or drowned out back competing interests. I enjoy having the low density economic activity we get from the AG community. Giving them a seat at the table helps ensure we keep this space viable for the present economic activity. If Nate is such a great politician, and we should be valuing his “experience,” why the hell can't he convince the bos to elect the MAC? The answer to the above question is simple: If Miley wanted an elected MAC there would be an elected MAC. He doesn't want one. He loves the fact that he alone stands as the government in that area and does not want anything to challenge it. When the item appeared on the BOS agenda, it had already been discussed by the sups and he knew that they would vote it out. That is how they do things. Nothing is a surprise. I don't think that people realize how powerful the position of supervisor is. Funding entities take their cue from him on who to give their grant money to. His girlfriend's organization benefits greatly from that. Large, important projects have to seek his approval and that includes kicking back favors to him when necessary. That's just an example. The position enjoys a great amount of public trust. Miley has betrayed that trust time and again. We really need term limits. Retroactive term limits. I'm a Nate Miley union whore! I'm surprised anyone would want to run for office or donate time to serve on a unpaid council, committee or board with people like Steve Tavares out to trash them. “A popular tactic is to use proxies for your attack: people who are not officially part of your campaign so that you can deny your personal involvement. Unfortunately, voters are smart and usually see through this and interpret any negative attack on one candidate as coming from his main opposition.” Sound familiar Steve Tavares? It was written by you for the San Leandro Talk Blog on 08/29/12 and you haven't changed at all. I will vote to re-elect Supervsior Miley who has done a great job of representing Castro Valley and District 4. Nate needs to go away now. He can no longer understand the difference between what is right and what is wrong. He crosses that line regularly without a thought and other people suffer. He is hurting many people now. Politicians are supposed to help them. No more Nate. I feel the need to correct a misconception about Chuck Moore. I have spent many, many hours attending Castro Valley and Eden Area meetings over the last few years. During this time, I have found Chuck Moore to be an excellent advocate for the local Ag community. He is a good man who has chosen to serve on the Castro Valley MAC because he recognizes that the “Canyonlands” needs to have a stronger voice in the community. Chuck did not buy his way onto the MAC. The only people who would say this, do not know Chuck. I am a staunch supporter of Bryan Parker, and I believe that there are many reasons why Parker is the person that we need to represent us in Castro Valley. Even though Chuck is a Nate Miley supporter, I believe that Chuck is being unfairly portrayed in this article. There may be other people in Castro Valley who are spending tens of thousands of dollars to ensure that they can keep a seat at the table, but not Chuck. Chuck is not buying influence…he is not wired that way. He is doing this out of a sense of obligation and service to the community and should not be attacked for his efforts. I agree with Peter. Chuck Moore is an honest guy dedicated to helping the community. Miley on the other hand is an absolute liar and tyrant to the folks in Castro Valley. After some of his tirades against his constituents I find myself asking “does he realize he's talking in public and out load”? Thanks for publishing this before I filled out my ballot, Bryan. Now I will know never to vote for you in a million years. A more one-sided string of poorly-sourced, stretched allegations I have never seen in my life. And you barely said a word about yourself. You're just all about the negative politics. NO WAY I vote for you!!!!! Trickster, how long have you been working for “Nate the great” (liar). Likely the greatest liar on the BOS. Tells both sides of every issue he'll support them. A major POS. In regard to the above post of 9:53, on the one hand I found it very witty giving the extremely sleazy Miley the sarcastic nickname of “Nate the Great,” but on the other hand I fear he is likely to steal and actually adopt that nickname for himself, and including then using it as a marketing tool to sell himself to those who are stupid and/or gullible. However as to whether Miley is the biggest liar on the Board of Supervisors, I suspect that Haggerty is an even bigger liar, and also even sleazier in general, than Miley. But regardless, if I was to make up an alltime all star team of liars and sleazeballs, both Miley and Haggerty would not only be on it, but definitely also in the starting lineup. The nick name has to be “Nate the great Liar” not as snappy as Nate the great but try it with a long dramatic pause between great and liar. Nate the great……liar. Does that work? Maybe “Nate the miscalculate” or “Mr. Hesitate Nate” or “Procrastinate Nate”. I'm not good at this so we need a naming contest. Parker is too honorable to get involved but someone has to start a name your supervisor contest. Especially if he wins the election. He shows open contempt for his constituents so a little like kind treatment might demonstrate how we feel. So far, two people running for offices in Hayward have actually come to my door. Being that this is Hayward, I don't answer said door unless I am expecting someone. Hint: It would be helpful to be remembered sometime that is not just before an election period.